IBM Notes Attachment Software - What Is ReduceMail Pro Attach? 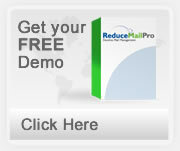 What Is ReduceMail Pro Attach? ReduceMail Pro Attach is a mail system for the IBM Notes administrator that helps reduce excessive email through a centralized IBM Notes attachment consolidation process. ReduceMail Pro Attach removes duplicate attachments from IBM Notes mail databases and places them in one or more databases leaving small stubs in the primary mail databases. Users can then access all mail, with consolidated attachments or not, unassisted from within the IBM Notes mail file. This helps lower storage costs, especially in enterprises in which multiple duplicate attachments are common. In addition, you can remove all large IBM Notes attachments from the mail servers, optimizing mail server performance while maintaining user access. works with IBM Notes versions R6-R10 For organizations that need to have access to all email, ReduceMail Pro Attach helps control email overload by removing much of the information from your mail servers but allowing continued user access. This significantly reduces back-up time, allows IBM Notes mail databases to open more quickly and makes the mail system more robust. Transactional logging is not required. ReduceMail Pro Attach allows you control over IBM Notes attachments. You can consolidate duplicates according to IBM Notes organization, IBM Notes organizational unit and IBM Notes group (can be as large as you want - no Notes limit here!). It also allows you to exclude mail according to IBM Notes organization, IBM Notes organizational unit and IBM Notes group, or mail directory from being processed for maximum flexibility. It allows you to decide during what time interval, which day(s) in the week, which week(s) in the month and which month(s) in the year the document processing will take place. ReduceMail Pro Attach allows you to control IBM Notes attachments by age, level of duplication and size. This allows you to optimize storage by consolidating only those IBM Notes attachments that are space intensive. ReduceMail Pro Attach makes mail retrieval easy for the user and for the Notes administrator with our all-in-the-mailfile access to mail whether it is consolidated or not. The user can open up the memo with the consolidated attachment similar to how he or she would open up any other memo without asstance from the IBM Notes administrator. ReduceMail Pro Attach allows you to move all large IBM Notes attachments off the mail server whether they have duplicates or not. For example, you can select to keep any attachment over 1 megabytes on an inexpensive storage device while still allowing end user access. This helps improve mail server performance. Attachments are consolidated into separate IBM Notes databases. The design of the IBM Notes attachment database is open and the documents can be organized by attachment name and date. This will help you identify problems with the mail system and problem system users, as well as respond to document search requests such as FOIAs and subpoenas. Transactional logging is not required. If you consolidate IBM Notes attachments, the corresponding full text indices are consolidated as well. Is ReduceMail Pro Attach a good way to save server space? Yes. ReduceMail Pro Attach will consolidate multiple LotusNotes attachments throughout your mail enterprise and save space. You no longer have to ask your users to delete or not send around attachments just to save diskspace. The IBM Notes attachments will be reattached when the user double-clicks on the memo. Is ReduceMail Pro Attach easy to use? Yes. Our developers have made every effort to make ReduceMail Pro Attach simple and user-friendly in every way, from the basic user interface to the selection of features. We know your time is valuable and we treat it as such. Does ReduceMail Pro Attach include another database that the user has to enter? The user always retrieves mail from her or his mailfile. All the user does is double-click twice on the memo and the original mail document appears. Which date does ReduceMail Pro Attach use to determine which IBM Notes attachments will be consolidated? The date the users see in the mail database views. There is no confusion. Does ReduceMail Pro Attach use the real-time Name & Address Book? Yes. As soon as you change the person or group documents in the Name & Address Book they are available for use by ReduceMail Pro. Does ReduceMail Pro Attach run on AS/400, AIX, UNIX or Linux platforms? Yes - it is compatible with ALL platforms on which IBM Notes runs. Is ReduceMail Pro Attach compatible with IBM Notes R9? Yes. The current version runs on IBM Notes R6-R9 and automatically adjusts its processing to the Notes version. Is ReduceMail Pro Attach compatible with clustering? Yes. Can I have ReduceMail Pro Attach run only on particular days of the week? Yes. ReduceMail Pro Attach can be set to run only on weekends or other particular weekdays. It can also be set to run on particular weeks and months during the year for maximum flexibility. Can I have ReduceMail Pro Attach run in particular time intervals? Yes. ReduceMail Pro Attach can be set to run during any time interval you specify and the interval can be different for different policies. What if ReduceMail Pro Attach times out? It will continue next time from where it left off until it is finished. Does ReduceMail Pro Attach require transactional logging? No. Transactional logging is not required. Can I make sure that ReduceMail Pro Attach does not affect the documents of selected users such as executives? Yes. Just specify an IBM Notes group with those users and tell ReduceMail Pro Attach you want them excluded from the removals. Where do I find the instructions for installing ReduceMail Pro Attach? The instructions for installing ReduceMail Pro Attach are in the Help - Using This Database document that comes with the system. In addition to Processing Reports, ReduceMail Pro Attach also generates Individual Processing Reports. They include the detailed information about IBM Notes attachments processed and mail file size changes. Attachment information is displayed in views of attachments by file type, size and date. This information allows you to select the appropriate parameters for the attachment consolidation process. ReduceMail Pro Attach is designed for a multi-server Lotus Domino environment. It uses LotusScript based agents and runs on all Lotus Domino platforms. It works with IBM Notes versions R6-R9 and will be compatible with future Lotus Domino software one month after gold releases. Upgrade efforts are minimal and typically only involves a few changes in the mail template that are done within 24 hours. You can move the attachments from one IBM Notes mail server to another IBM Notes server (mail or utility server) or, via a directory link, from one IBM Notes server to a linked SAN/NAS/drive mapping on the same server. ReduceMail Pro Attach is platform independent and has been tested on Windows, Linux, Unix and AS/400 servers. Below is one example of how ReduceMail Pro Attach might save your organization time and money if you have 10,000 users. If each user's IBM Notes mailfile has 80% of content in the form of IBM Notes attachments, and 70% of those are multiples you can save about 50% of disk space. If the average user's IBM Notes mailfile is 300 megabytes, for 10,000 users this translates into a saving of 1500 gigabytes. If your mail-server storage costs $70 per gigabyte per year, the savings is $105,000 per year. Download our ROI calculator (click on the navigator to the left) and do your own calculation!